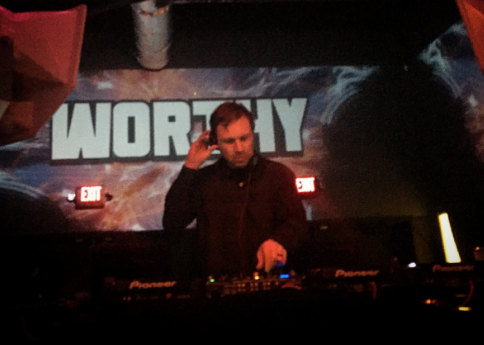 We sat down with Worthy before his set at Q with Kill Frenzy as a part of his “One on One” tour, which features West Coast House Pioneer & co-founder of Dirtybird, Worthy B2B with a different DJ! What does Worthy mean? Worthy comes from my middle name, which is Worthington. It was kind of a nickname of mine, before I started DJing. Let’s talk about your new release “Keep Me Up“: It came out on Exploited at the beginning of January. I’m super honored to be on Exploited, they’ve been around for a while; it’s a German label home to artists such as Claptone & Joyce Muniz. 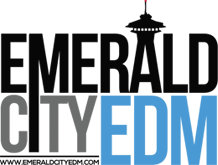 They’re just a super, well respected label and I was elated that they took one of my tracks. I never really tried to put a track out with them before, but they loved it so I felt stronger too. When you were making the track did you feel like it was going to be something on your label or were you trying to branch out were you trying to branch out into something different? I wasn’t really trying to do something different with that song. I was just trying to go for some disco vibe and I came up with that bassline, but it came from some place that was unexpected. I found the guitar riff and everything kind of worked itself together after that. It makes some moves and keeps on chugging in a different way than I’ve done before. Can you tell us more about your label, Anabatic Records? I started about ten years ago, we had our ten year release last week. I’ve put out a lot of my own stuff, it’s been mostly booty house and house music – bassy house music. I’ve had a lot of really good artists come through, a lot of who got started with my label such as Will Clarke. We had a lot of really good artists over the years who I’ve had the privilege of putting out their music. We’ve hit ten years now and keep finding new people to put out and people keep sending me music. Anyone you have your eye on right now? We just released Gerry Gonza, and Elevator Musik out of San Francisco. There’s this really killer new guy called Ocsav, they’ve been sending me some really cool stuff, I think they’re going to blow up. Are you still involved with the Dirtybird label? The label was always been separate from the party, it started as the party then Claude started the label. There was always a difference between the party and the label. Everyone is still really good friends with everybody, I never had much to do with running the label but I am one of the OG Dirtybirds. On your tour you’re playing with another OG, Christian Martin: Yeah, Christian is playing on the tour tomorrow night, then Gina Turner. Each date is Worthy one on one with a different DJ. Is there any one in particular you’re really looking forward to playing with? Well, tonight’s going to be great and I’m really excited to play wth everyone! Christian and I have played together the most out of anyone I’ve played with, we always get booked together. We haven’t played together for a moment so I am really looking forward to playing again together tomorrow night. The two of us have a really great camaraderie when we play together since we play together so much. What was the influence behind the One on One tour idea? I sat down with my booking agent and wife and we were trying to come up with a concept that was new and different than what anyone else has done. Not just me playing but coming up with an original plan. Then I came up with the idea to interview them! We like the one with Ardalan. Has it been a challenge musically to have a different artist every night to feed off of? It hasn’t been much of a challenge but it’s been actually fun. I’ve been playing somewhat differently each set. The biggest test has actually been the interviews! How much longer is the One on One tour going, and where? We’re right in the middle of the tour and going through the second week of march in North America & a couple dates in Canada. Then I’ll be going home to sleep for a week. We started right after Holy Ship. We were on Holy Ship 8.0 too! Have you played Seattle before? Yeah, definitely. I’ve played a bunch of times here over the years but never at Q. We love our booty house up here, and Q has a great system – it’s going to be a great set, I think the west coast loves it. Do you have anything to say about Claude’s new project Barclaw Crenshaw? I think it’s pretty cool that he’s branching out. What is your next upcoming release? My next release will be on a new Toolroom label Strange Love, which is centering on bassy house music and trying to break that market into Europe a little bit more. Then EP Flooded Out and EP Loving Other. How do you keep your work life balance? It’s tough, especially being a dad. It’s tough going from four gigs in a row to being a dad, but I’m really looking forward to being home, Then I really look forward to going back on the road. This tour has been really busy. How do you keep going for ten+ years? Where does the inspiration come from? I just love to go out and play! When I’m home for a while I can’t wait to go back out and play. It’s the best to play for a crowd that’s really getting down, I could have the worst hangover and if that happens it will be gone in an instant. Last question: Will there be another Dirtybird BBQ in Seattle this year? Everyone wants to know! I have no idea! 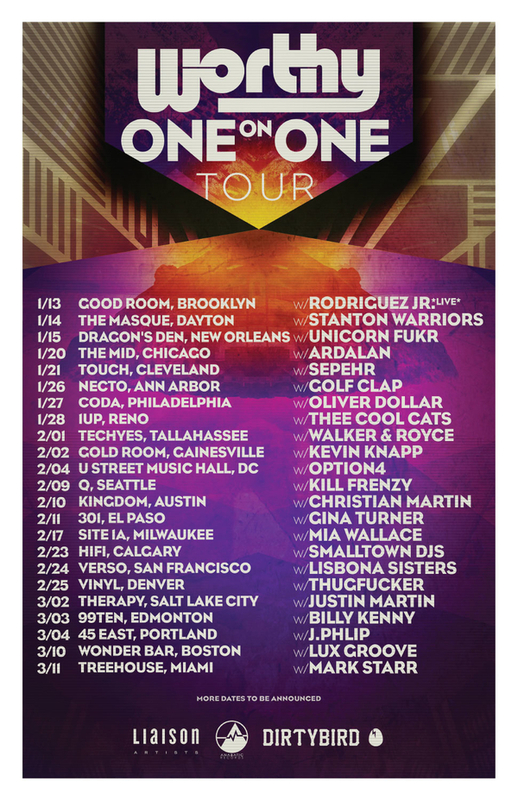 We love all of the Dirtybird players, so we hope so!